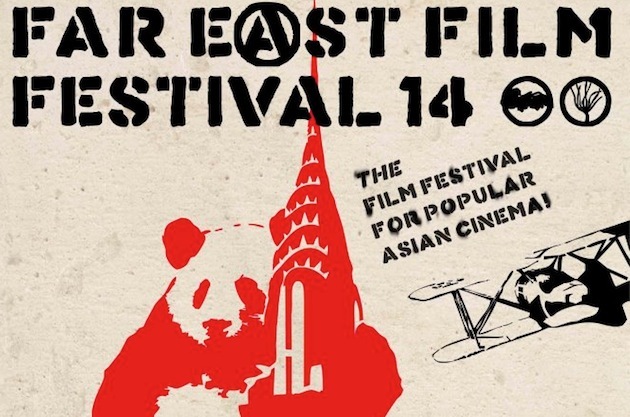 Last week was my first time at the Udine Far East Film Festival and straight off the bat the only negative point I can think of was that I wasn't there earlier to participate in the entire event. Regardless it was still a packed week during which I saw nearly 30 films, ate some great food and made a lot of new friends. I look forward to coming back soon but I'm sure it won't be in 2013 as I'll be making my way to Seoul next month. That said I do hope to meet up with many of the same people later this year at the Busan International Film Festival. The highlight for me during the week was the opportunity to soak in the 'Darkest Decade' retrospective on 1970s Korean film. Darcy Paquet did an incredible job to bring these films, in good condition and many with brand new subtitles, to Italy and furthermore his picks were phenomenal, yielding some of the best Korean films I've seen. It was a pleasure to see rarer Im Kwon-taek, Kim Ki-young and Yu Hyun-mok films as well as to discover the works of Kim So-young, Ha Kil-young and Kim Ho-sun. I was particularly drawn to the many island dramas which have added new dimensions to an essay I have been planing on rural spaces as a site of horror in Korean cinema. Darcy's monograph (pictured) is another wonderful resource and a great complement to the retrospective. Just like last month's Fribourg International Film Festival (which was also covered by MKC) one of the prevailing themes of the festival's program was filmmaking itself. 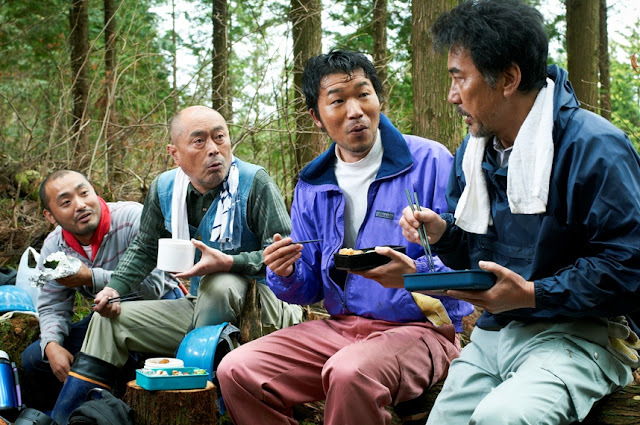 Romancing in Thin Air (2011), The Woodsman and the Rain (2011), Vulgaria (2012) and The Woman in the Septic Tank (2011) all featured films within a film and each had their own novel take on the industry. Despite the global glut of awards bestowed on The Artist (2011), and to a lesser extent on Hugo (2011), I'm still finding that the past year's best films that cast an eye on the medium are those that sadly won't be seen by many. Although considering the cinephile-ready content, perhaps it's just as well that they feature strongly on the festival circuit above all else. 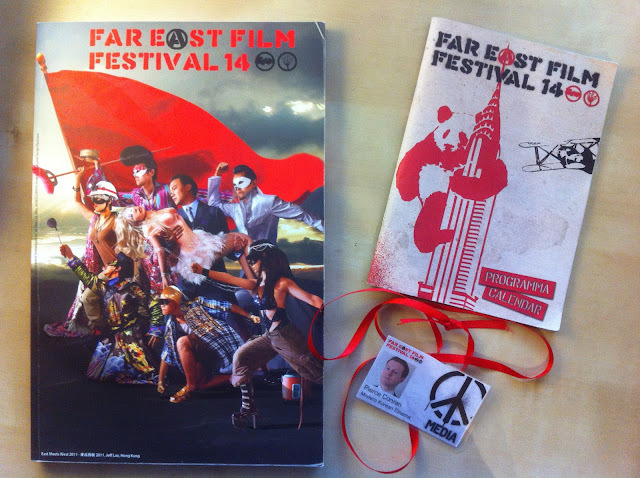 The great thing about the FEFF was its atmosphere: it's accessible, centralized, friendly and a lot of fun. There was lots of events and special deals in restaurants for anyone attending the festival. 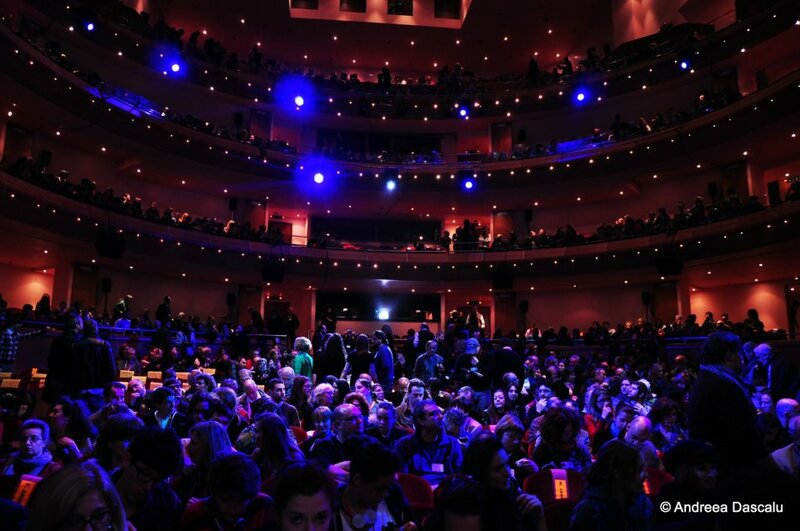 The Teatro Nuovo Giovanni, the single theater of the festival, was a wonderful venue with four levels. I stayed down in the pit for all of my screenings and I don't think I would have liked to be seated too high up (some seats were above the screen) but the projections were all top notch. Udine is also a wonderful little town with numerous restaurants, historic architecture, beautiful squares and everyone's favorite, gelato! I didn't have much opportunity to visit beyond the town's centre but what I saw was very charming. Anyone interested in Asian cinema should definitely make their way to Udine at some point in the future and if you do, hopefully I'll see you there! 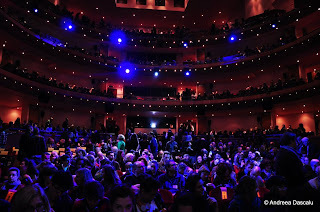 Below are my favorites of the festival and the FEFF 2012 award winners.